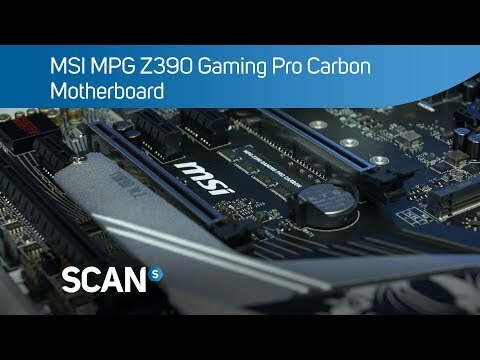 PERFORM IN STYLEThe MSI Z390 PRO CARBON is an excellent ATX motherboard formed from the Intel Z390 chipset. Featuring heavy plated heat sinks and fierce looks with RGB lighting, MSI PERFORMANCE GAMING motherboards are packed with gaming features for a refined gaming experience. All that gaming tech is backed up by a reinforced structure and heavily tested components to ensure long-lasting, high-quality performance. The GAMING PRO CARBON features premium audio and networking. MSI GAMING LANGet ready to crush your enemies on the battlefield with MSI GAMING LAN. Featuring the highest quality components tuned to deliver the best online gaming experience to prioritize game traffic over any other network traffic. You can experience gaming without any lag! MSI MPG Z390 GAMING PRO CARBON, Intel Z390, S 1151, DDR4, SATA3, Dual M.2, 2-Way SLi/CrossFire, GbE, USB3.1 Gen2A+C, ATX is rated 2.0 out of 5 by 1.